Bringing you good news from our IMAX International ministry! 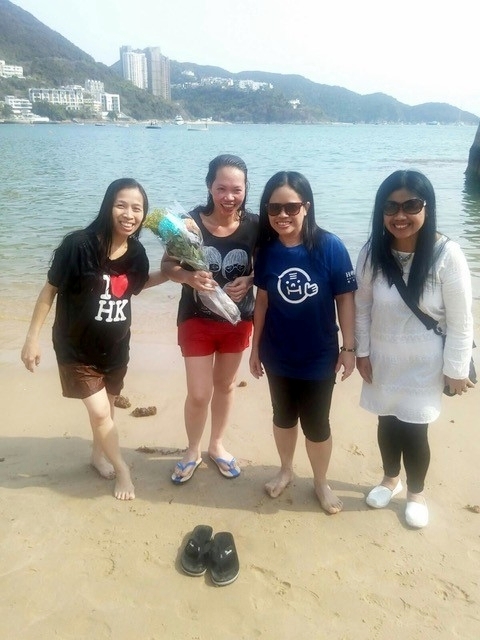 We have had 2 women converted in our small, zealous & growing ministry of helpers in Hong Kong. We would like to continue to encourage the HK disciples to continue to invite their helpers to our church service at the North Point Center on Sunday mornings. We also have an English worship service every first Sunday of every month at the North Point Center 16/F. For more information please contact Evelyn Danding through WhatsApp at +852 9858 6047. 1. 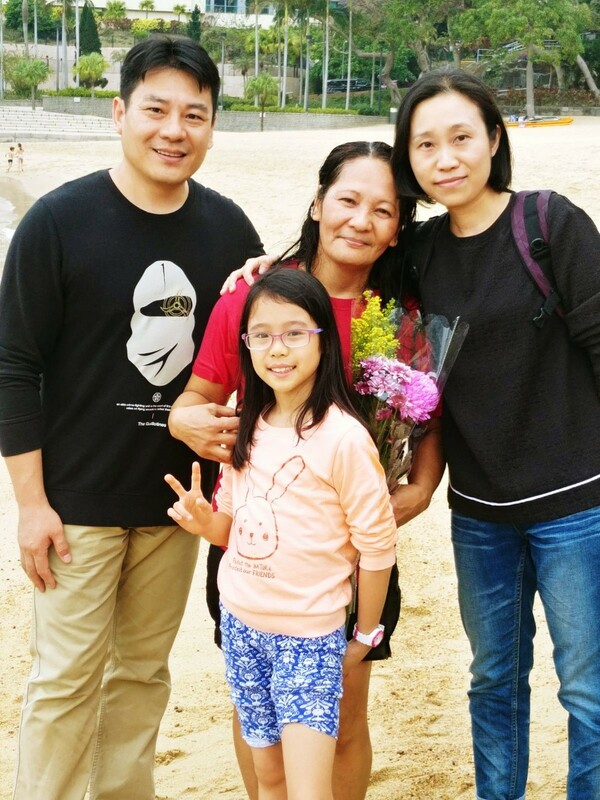 On Sunday, March 4th at Repulse Bay, Marilou Salasar Rulosta was baptized (a MK with 8 kids). She was invited by her employer Jacky & Cecilia Ka (Island Region) many years ago but she is not open to coming. Julieta, our sister in the International ministry continued to follow up with her for many years keeping the friendship going. Recently, Marilou was broken as she studied the Bible & repented to be open & honest. She knows more importantly that her greater debt spiritually was paid by Jesus. 2. 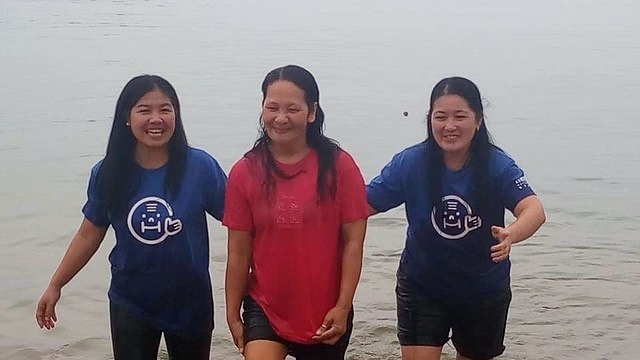 On Sunday, April 1st at Repulse Bay, Miraflor Kinatac (MK) was baptized. Her employer Ronald & Jody Ng (Island Region) invited her to church. Miraflor’s husband back home in the Philippines is a pastor in another church. But as Miraflor started to study the Bible & understand the Biblical teaching of salvation and discipleship. When she shared with her husband about her conviction about baptism and what it means to be a committed disciple, he was fully supportive because he saw his wife’s transformation and repentance. Her husband has agreed to come with her to our church in the Philippines when she visits home next time. 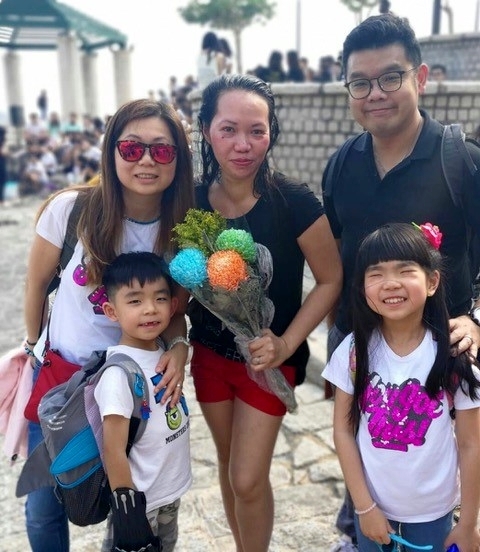 Miraflor has shown a deep respect of God’s Word in forgiving & reconciling with those relationships that have hurt her and equally so, initiated to tithe as she felt deep gratitude towards God for giving her a second chance to truly be born again. I love a young disciple that fears God above all people and all else.